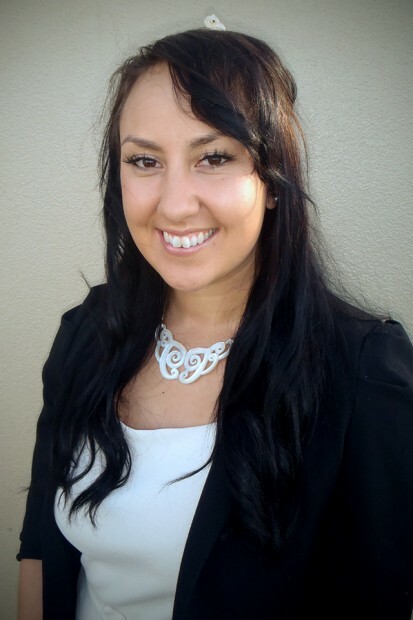 A physical education graduate with a passion for ngā taonga takaro (traditional Māori sports and recreation) has been awarded this year’s Fulbright-Ngā Pae o te Māramatanga Graduate Award, to examine the potential for improving indigenous health, wellbeing and development through sport. Renee Wikaire (Ngāpuhi, Ngāti Whātua) departs for the United States of America next month to complete a PhD in Education at Florida State University in Tallahassee. Renee graduated with a Bachelor of Physical Education degree with Honours from the University of Otago in 2011, and credits the programme with instilling in her a multi-disciplinary approach to overcoming health disparities between Māori and non-Māori. She believes a synthesis of health science, humanities and mātauranga Māori (Māori knowledge) can help improve health statistics for Māori, and cites the growing popularity of waka ama as an example of an indigenous sport which can be used to motivate and increase physical activity among Māori. In her honours studies, Renee explored the construction and performance of Māori identity in and around the revitalised cultures of waka ama, which has grown to become the most popular summertime sport for Māori in terms of participations and spectators. While studying, she helped establish an association of Māori physical education students at the University of Otago, which encourages bonding over sports and physical activity, fosters academic excellence through mentoring programmes, and helps introduce other physical education students to tikanga Māori. Renee also served as marketing and media coordinator for Rapa Hoe, an incorporated society which promotes outrigger canoe and ocean culture to coastal communities around Aotearoa. The first two recipients of Fulbright-Ngā Pae o te Māramatanga Graduate Awards – Dan Bidois (Tainui, Ngāti Maniapoto) from Auckland and Natalie Coates (Ngāti Awa, Ngāti Hine, Tūhoe, Te Arawa, Ngāti Tūwharetoa) from Whakatāne – both graduated from Harvard University in May, with master’s degrees in public policy and law respectively. Applications for the next award, to study or research in the US during the 2013-2014 American academic year, close on 1 August. See www.fulbright.org.nz for details of how to apply.